Your office conference room is where vital business meetings are held, so of course you don’t want to spend time worrying about possible tech glitches or hiccups during a presentation to stakeholders or potential customers. Here we have provided a guide on the best commercial audio video equipment to take your Vancouver, WA office into the 21st century. 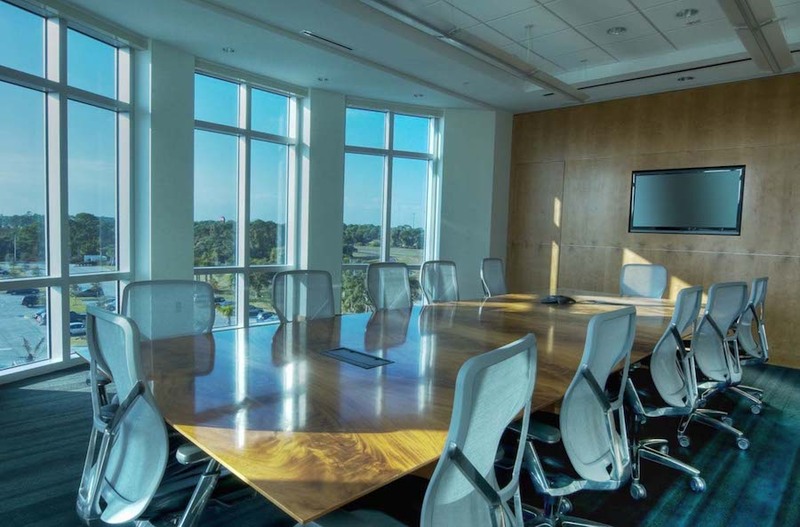 Read on to learn about the essentials that will ensure your conference room is providing the best experience for employees and clients alike. First instinct might tell you that installing a larger-than-life screen will give everyone the proper view, or somehow be the appropriate size for any room. But you’ll want to ensure there is enough space between the table, the seats, and the screen. A great way to calculate how tall of a screen to get is to measure the length between the closest seat to the anticipated location of the screen. Then, double that number to guarantee the perfect height for your screen. Now everyone in the room can see the presentation without craning necks and shifting chairs. A bulky projector with numerous wires can be messy and off-putting. To achieve a sleek and minimal feel, don’t use your conference table as a projector holder. Instead, maximize space and style and install a ceiling projector rig. This way, the projector is completely hidden and out of sight until you need it. Then, with a simple push of a button, lower the projector and begin your flawless presentation. Of course, you also don’t want a projector that’s from the dark ages. Today’s 4K projectors provide crisp, crystal-clear visuals so that everyone can make out every detail on the screen. The best style of projector will depend on a variety of factors, such as the amount of ambient light and size of the room, so the best approach is to contact your commercial audio video installer for recommendations. Acoustics is an important aspect of any meeting. Garbled speech and misheard wording can lead to disastrous results. With high-quality speakers and microphones strategically placed throughout the room, everyone can rest assured there is no miscommunication. It’s essential to evenly disperse your speakers instead of grouping them. You can easily hide them in the walls and ceiling so that you can bring the elegant and stylish look to your meetings, while also hearing everything in crystal clear excellence. If there’s one thing that sets apart a high-tech, impressive conference room from standard setups, it’s commercial automation. With automation, there’s no longer the need for a ridiculous number of remotes to use for each component of your presentation or call. You don’t want to spend minutes trying out each remote to see if it’s the right one for the respective equipment. By installing an integrated control automation system, you can manage and operate every product from one single source. Using the smart device of your choice, you can control the lights, shades, projector, and screen all with one press of a button. Use your smartphone, a tablet, or even a wall panel and have all the power of the conference room in your hands. Meetings shouldn’t be riddled with worry and stress. Make them easy with these audio video features and impress every client. To learn more, contact us at (503) 713-6897 or online.